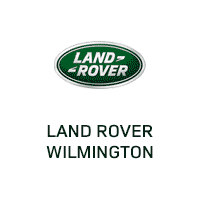 Land Rover Wilmington is your trusted dealer for a certified pre-owned Range Rover Evoque. Take a look at our inventory below, and don’t forget to check out our certified pre-owned offers. When you’ve found a CPO Range Rover Evoque you’d love to take home to Newark, come visit us for a test drive! Why Choose a CPO Range Rover? Are you feeling pretty certain the Range Rover Evoque was meant for you, but would still like to see other options? We invite you to check out our general certified pre-owned inventory, there are plenty of Range Rover CPO models to choose from. Whichever model you choose, you’ll be all set to take the whole family to the Brandywine Zoo in safety. If you come back to a flat tire or realize you locked the keys in the car, your fun day at the zoo will not be spoiled. Because you’re a part of the Land Rover Approved CPO Program, all you have to do is request assistance and help will be on the way. Should you have any questions before stopping in, please feel free to contact us, we’re happy to help! When you’re ready to take the next step, our Land Rover professionals are excited to assist you at our Wilmington dealership. Get ready to turn some heads on West Chester, PA roads!